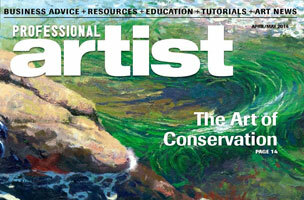 Professional Artist (formerly known as Art Calendar) has been a vital resource for visual artists since 1986. The mag differentiates itself from other art pubs with its focus on the business side of being an artist. [Jannett Roberts, publisher] is open to pitches from all writers. “We have a dedicated crop of freelancers who are industry pros and successful working artists, but we are always looking for new voices and perspectives to fully represent the entrepreneurial art community,” Roberts says. Photo submissions are requested with editorial submissions. However, “We don’t typically accept stand-alone products,” Roberts says, adding that multimedia content can bolster a pitch. To learn more about the pub, including what not to pitch, read: How To Pitch: Professional Artist.